Stylish cafe table base with a powder coated Black four leg design and Chrome column. Suitable for use with table bases up to 1000mm diameter circular or square. 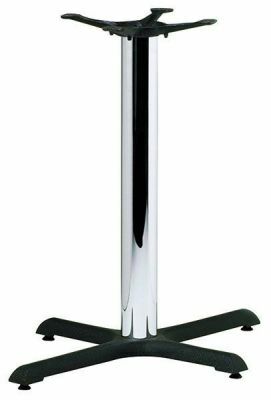 Exceptional design cafe table base complete with a stunning chrome column and wide four foot base allowing a large top of 1000mm circular or square to be fitted.